"A sense of place can be a complicated matter," writes James McVey in the prologue to his new collection of essays, The Way Home. Based on twenty years of living and traveling in the West, the collection includes essays on river running, backcountry skiing, fly fishing, and backpacking—all describing various attempts to engage in meaningful contact with the elements of wild nature, and to have a deep firsthand knowledge of a place. 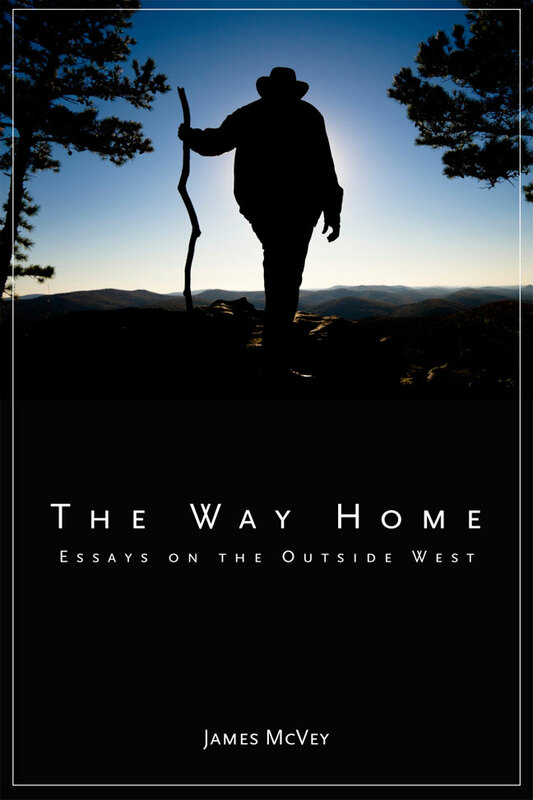 With an essayists breadth McVey engages ecology, geology, anthropology, psychology, and history as well as his own personal outdoor experiences to peer into the particulars of living in as complicated a place as the West. While the essays function within the tradition of western nature writing, they transcend regional issues insofar as they maintain a broader philosophical context that accounts for such global concerns as mass extinction and climate change. The essays use backcountry experiences as occasions for reflection on such topics as nature and culture, conservation, and the human relation to the wild. They combine the naturalist’s commitment to landscape with the adventurer’s attention to technique and skill. The outdoor experiences function as ritualized activity, the purpose of which is to explore a specific relation with a place. As such, the essays consider certain nonrational ways of knowing the world, including a perception of aesthetics based on sensory participation with the more-than-human world. This gets to the heart of the essential connection in this work between its adventure themes and nature concerns--a connection very much concerned with issues of lifestyle and worldview. McVey describes his own journey in the West, traveling through the varying philosophical revelations wilderness presents—"a lifetime of questions"—finally landing on a conservation ethic, a feeling of home. James McVey teaches classes in writing and literature at the University of Colorado. He is the author of The Wild Upriver and Other Stories, and Martha Maxwell: Natural History Pioneer. He currently lives in Eldora, Colorado. 6. We Are Here, Who Are You?